Have students draw a card. 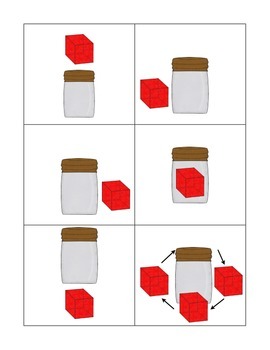 Student should tell the name of the shape and its position in relation to the jar. 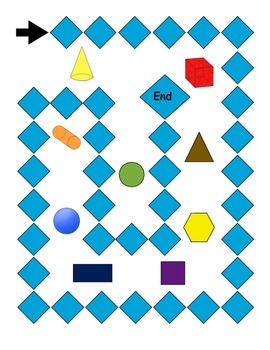 If correct, student may roll dice and advance on the game board. Memory - Make 2 copies of the cards. 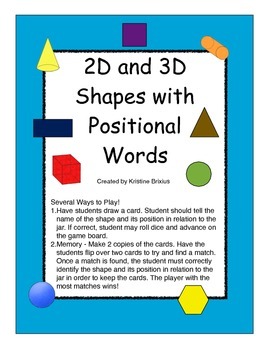 Have the students flip over two cards to try and find a match. Once a match is found, the student must correctly identify the shape and its position in relation to the jar in order to keep the cards. The player with the most matches wins!